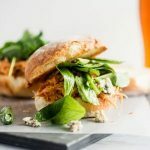 These easy slow cooker buffalo chicken sliders are perfect for busy weeknights or as finger food for the big game! I’m the kind of person who constantly swaps a full size burger for mini burgers, or a full size corn dog for a basket of mini corn dogs, or a big salad for a bowl of spaghetti. (I’m totally all over this blogging thing today, you guys). So sliders and me? We’re basically BFFs. And these particular sliders? 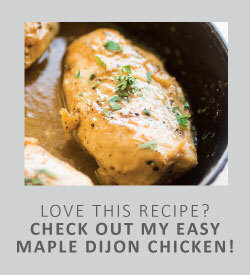 They’re quickly becoming one of my favorite weeknight dinners. 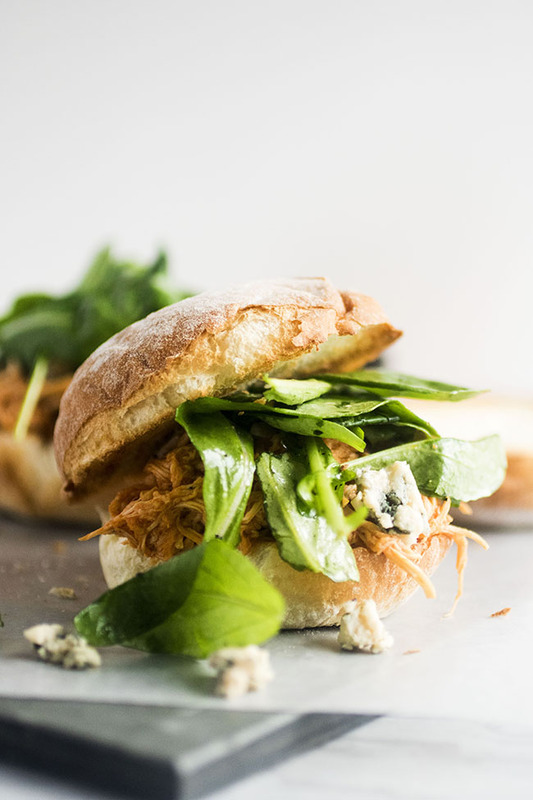 The recipe is just EASY, and there’s minimal prep involved so you can quickly be out of the kitchen and onto the couch with a glass of wine in one hand and a buffalo chicken slider in the other. Also, please don’t skip toasting your slider rolls. It adds a ton of texture, which you definitely want. You can also swap out the arugula for some fresh pickles or coleslaw – I used arugula because it’s what I had on hand, but get creative with your toppings and make this recipe your own! 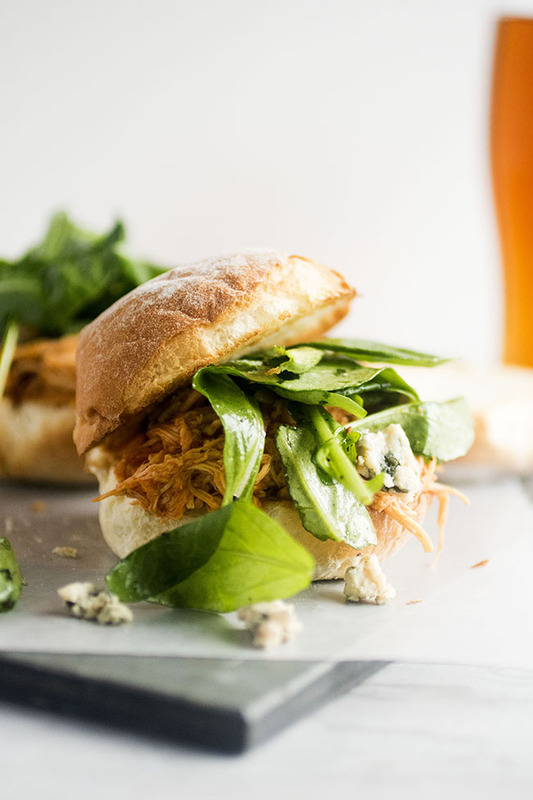 Easy slow cooker buffalo chicken sandwiches perfect for busy weeknights. Toss chicken breasts, buffalo wing sauce, salt and pepper in your slow cooker. Cook on low for 6-8 hours. When chicken is cooked, turn off the slow cooker and shred chicken. I leave the chicken right in the slow cooker and shred it with two forks – you want the chicken to soak up any extra buffalo sauce that’s in there! Toast slider buns. I like to lay the buns out on a baking sheet and bake at 375 for 5-6 minutes until toasted, but you could also use a regular toaster or toaster oven. 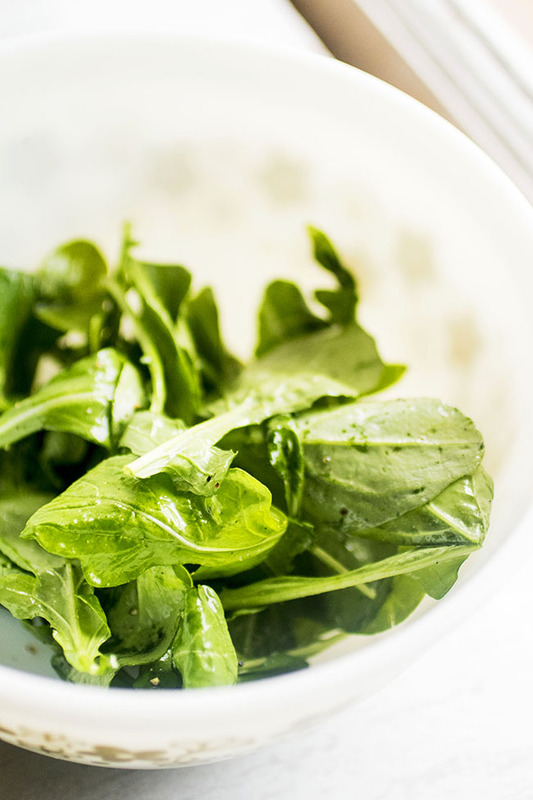 Toss arugula, olive oil, lemon juice, salt and pepper together in a large bowl until arugula leaves are lightly dressed. 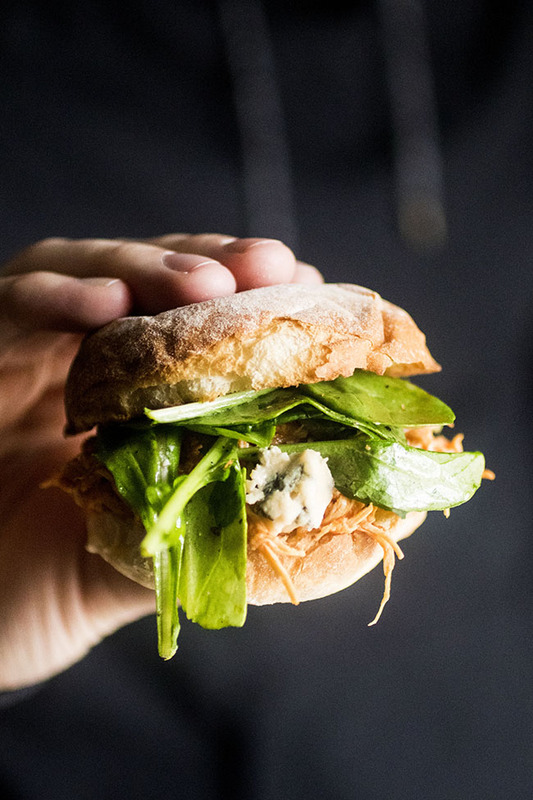 Place a scoop of shredded buffalo chicken on each slider bun. Top with a few crumbles of blue cheese. Top each slider with a few arugula leaves, press on the top piece of the bun, and serve immediately. Not a blue cheese fan? 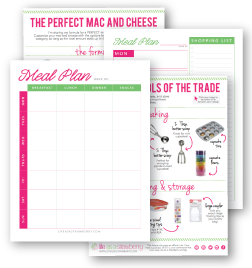 Use a sharp white cheddar or pepper jack cheese instead. I used potato rolls here, but you could use pretzel slider rolls, hawaiian rolls, mini burger buns, or whatever you have on hand! 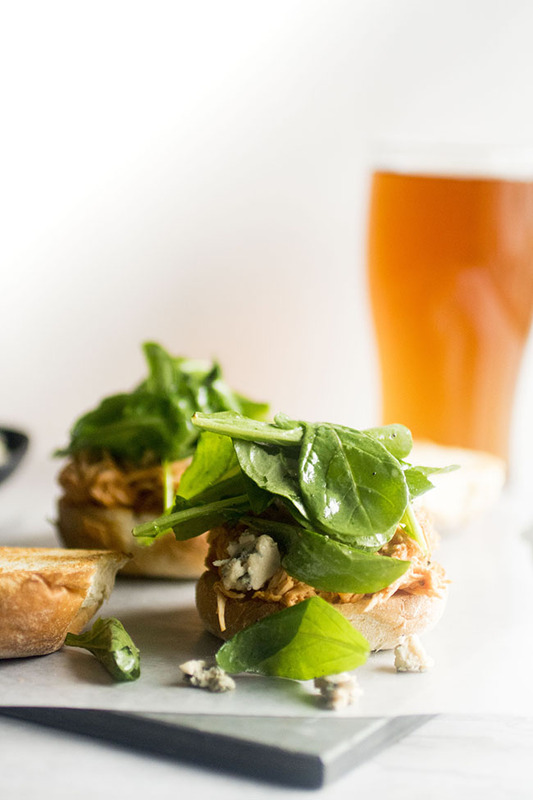 I added arugula because it’s what I had in the fridge, but these sliders would also be great with fresh pickles or coleslaw. Don’t forget to toast the slider buns! That one step adds a lot of texture to these sliders. To serve this recipe as full-size burgers or sandwiches, just use four regular-sized hamburger buns. I find that there’s enough buffalo sauce here to keep the sandwiches nice and moist, but feel free to add a bit of mayo, blue cheese dressing, or another favorite sandwich spread if you like! If you don’t like (or don’t have) buffalo sauce, you can use BBQ sauce instead. These look so gorgeous! Simple but absolutely gourmet. Such a good weeknight dinner with the slow cooker. I don’t actually have one but might have to figure out a way to make shredded chicken like this without it! I’m so with you- cute little foods are the best foods. Plus, you can eat more of them without feeling as guilty, right? 😉 Love these! I am so craving a slider right now after these images, they look perfect.. and SO mouthwatering.